HeÂ´s only 5 points behind Hamilton in the classement. I think he can be third again like last year. For winning the championship he should have won more often until yet. Lotus F1 Team endured a difficult Belgian Grand Prix, with brake failure leading to the retirement of Kimi RÃ¤ikkÃ¶nen whilst Romain Grosjean employed a one-stop strategy to finish eighth. 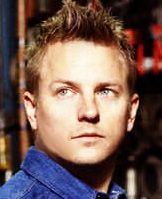 Kimiâ€™s DNF was the first of his Lotus F1 Team career and his first retirement in 39 races. It was his first non-points finish in 28 races and only his second non-points finish since driving for the team. Kimi now drops to fourth in the Driversâ€™ Championship on 134 points, having been overtaken by second-placed Fernando Alonso  and third-placed Lewis Hamilton . The team remains in fourth place in the Constructorsâ€™ Championship on 187 points from Ferrariâ€™s 218.
â€¢	Kimi started from P8 with a scrubbed set of medium tyres, changing to scrubbed medium compound tyres on lap 14. He retired on lap 25.
â€¢	Romain started from P7 on a scrubbed set of medium tyres, changing to a new set of hard compound tyres on lap 22. Lotus suspects that a blocked brake cooling duct caused by a loose visor tear-off led to Kimi Raikkonen's retirement from the Belgian Grand Prix. Raikkonen suffered from an overheating left front brake duct shortly after the start of the race at Spa-Francorchamps. AUTOSPORT has learned that at the first pitstop, the team discovered the visor tear-off lodged in the cooling channels of the brake duct. Although Lotus was able to remove it, the brake disc was already too hot and could not be cooled enough. Eventually it failed completely. Investigations by the team after the race discovered no other explanation for the brake issues, which led it to believe that the visor strip was the cause. Team principal Eric Boullier said there was no design problem with the brake cooling on the Lotus, even though it had been operating in a high temperature window. "We know that we have two options on cooling here: one was nearly too cool, one was on the top of the range," Boullier told AUTOSPORT. "If the failure had happened on both discs then you would think that the cooling was wrong, but it was only on one disc." can't translate now but maybe some parts are understandable. Kimi doesn't say anything new. I think, he sound not normal here? Cold? Maybe he was ill at thursday? The interview with Damon Hill is pretty good, Kimi seems to be quite relaxed. I'm really frustrated, not only because the DNF at SPA, but specially because of the Championship. I know winning with Lotus was a long shot but how sweet it could have been. Specially for me, that haven't seen Kimi win a Championship yet. I missed half of his career. I actually have seen him win only 3 times, so that means I missed the other 17! And since I can't turn back time, I would have loved to see him win this year. there was a bitter moment there...hid a few tears behind the shades..but it is what it is..
i was sure he would be P6, or 8...then Kimi was good even at the wet parts of the circuit. then proper rain started at q3 and f**k!!!!! during the race Kimi was ok, but you could see after the second half something was wrong, and then the retirement. for me it was over...but on the other hand, it was the first one after he returned to f1, thats not so bad is it? its bad for the team i think, because it comes at the most crucial moment. i know there are no more chances for the wdc but i'm more interested for the future. Kimi seems to be in great form, drives beautifully and all he needs is a team with great resources to produce a great car. But Annika (she is 16 years old, the kid from friends) was absolut over the moon. She see her first race. She see F1 live. She see Kimi live... So it was okay for me. I was sad for Kimi but happy for her. We stand for hours opposite off the boxes and look, how they pack everything together. We walk over the half track (my muscles ache a bit today " title="red" /> ). But Annika (she is 16 years old, the kid from friends) was absolut over the moon. She see her first race. She see F1 live. She see Kimi live... So it was okay for me. I was sad for Kimi but happy for her. We stand for hours opposite off the boxes and look, how they pack everything together. We walk over the half track (my muscles ache a bit today ).